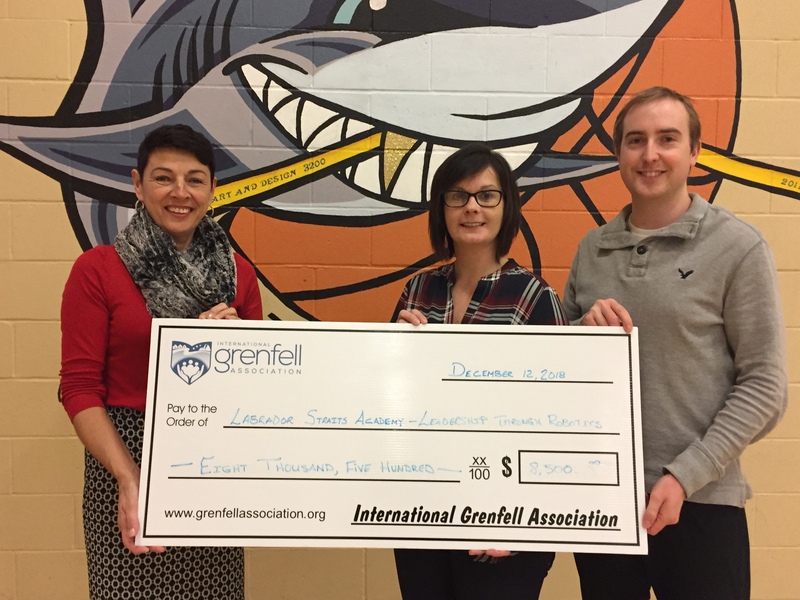 The IGA is proud to have supported several initiatives in the Labrador Straits this year. 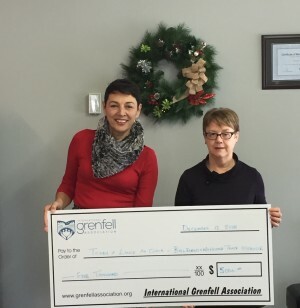 One of IGA’s directors, Sheila Downer, was able to visit some of these communities and meet with the people involved in a few of the grants received in the area. Pictured above is Sheila presenting a cheque to L’anse au Clair’s Deputy Mayor, Sheila Chubbs (right), for $5,000.00 to help fund the upgrade of the ballfield and the addition of a walking track in the town. 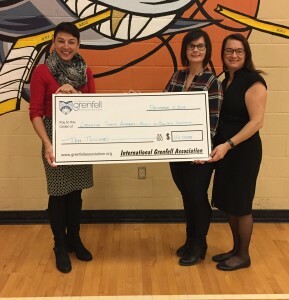 She was also able to visit Labrador Straits Academy in L’Anse au Loup who received two grants this year. The first picture shows Sheila (left) presenting a $10,000.00 cheque to LSA’s principal, Colleen O’Brien (Middle), and the school’s Music Teacher, Adele Buckle (right), for the Music and Fine Arts Initiative. 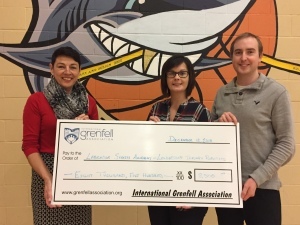 The second photo is Shelia presenting a cheque for $8,500.00 to fund the Leadership in Robotics program to Colleen O’Brien and Matthew Colbert, who is the Phys. Ed./Technology Teacher at the school. The IGA is happy to support organizations and initiatives like these that benefit the people of the Labrador Straits!